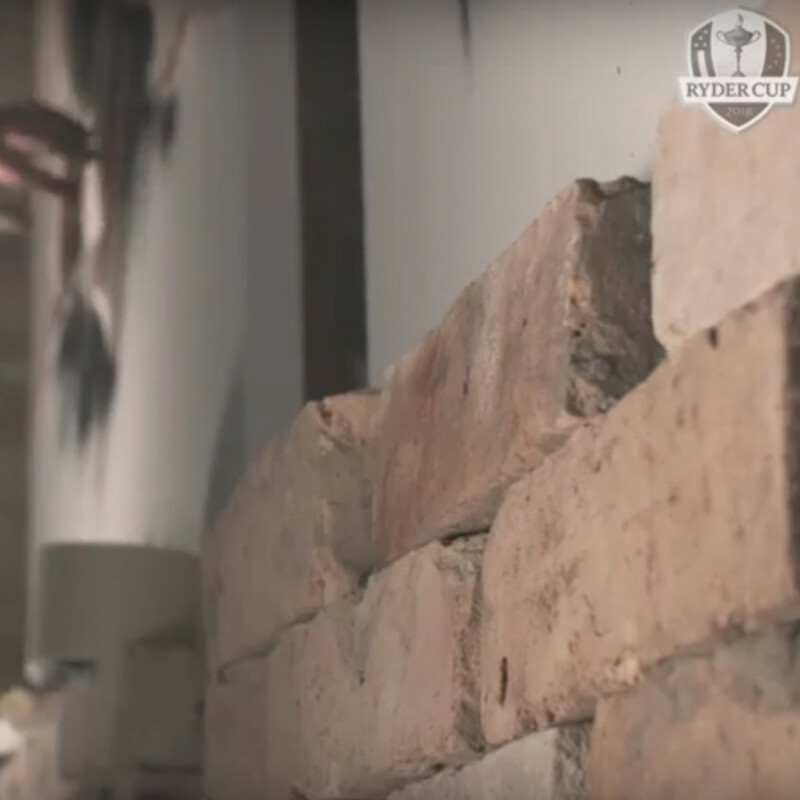 London North West, UK - London Reclaimed Brick Merchants’ (LRBM) products appeared in a promotional video ahead of the prestigious Ryder Cup international golfing tournament. LRBM supplied the official Ryder Cup video producers with 160 Plain Gault bricks which were used to support four canvases that revealed portraits of each of Team Europe’s wildcard players. Picked specially by captain Thomas Bjorn, European Wildcards Paul Casey, Ian Poulter, Sergio Garcia and Henrik Stenson were depicted in a dark tunnel above piles of the bricks by a hooded graffiti artist. The video was an instant hit, gaining over 1000 likes and almost 500 retweets just hours after its release by Team Europe’s official Twitter account. The multi-national Team Europe take on Team USA including well-known American golfers Tiger Woods and Phil Mickelson at Le Golf National from 28th to 30th September 2018 in Saint-Quentin-en-Yvelines, a suburb southwest of Paris, France. See the link to the video below.